The dual crisis of movements and the university require activists and researchers to apply the radical imagination and foment it as a collective practice. Our book, The Radical Imagination: Social Movement Research in the Age of Austerity (Zed Books, 2014), is a set of reflections on an experiment. Our experiment began, as most do, with questions. What if researchers studying social movements understood their role as less about gathering reliable data to share with other scholars and more about catalyzing and convoking the radical imagination? What if, instead of distanced observers, researchers understood themselves to be integral, generative and critical parts of how movements reproduced themselves? What if researchers — and here we don’t just mean gainfully employed academics but something far broader — were committed to enlivening and empowering those most important forces for social transformation: the social movements which, though sidelined and belittled in mainstream history, are and have always been the motors of historical change? What if we saw ourselves and our work as borrowed from a future that we must, in turn, help usher into being? 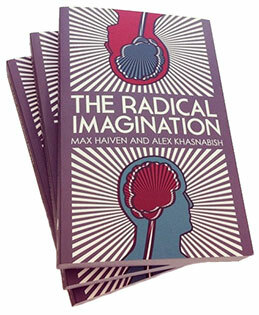 We began The Radical Imagination Project in 2010 with two key theoretical assumptions. The first is that social movements are, at their hearts, animated by the radical imagination. The radical imagination is not a thing one can possess, no matter how “outside the box” one’s own personal thinking is or how many clever books one has read (or written). The radical imagination is a collective process, it’s something we do together. It is a shared landscape of political refusal, a mutually reinforcing agreement to question the social order and the roots of exploitation, inequality and oppression. Beyond merely a feel-good slogan, the radical imagination emerges out of questions, conflicts, friction and debate. It is a constant, always unfinished process and while it may occasionally crystallize into a particularly inspiring idea, or a particularly acute theory, or a particularly compelling text, these are the products of (and, in turn, help reproduce) a subterranean flow of ideas, arguments, relationships, organizational forms and shared memories. The second assumption is that today social movements are caught in what we characterize as a “double crisis” of social reproduction. For Marxist-feminist philosophers like Silvia Federici, a critical understanding of contemporary capitalism needs to be based on an analysis not only of the forces of production (labor, capital, machines, globalization, economics, etc. ), but also the way these depend on and are interwoven with the forces of social reproduction — that labor that produces social beings and social life itself. Beyond merely the bearing and raising of children (the next generation of workers who will produce surplus value for capital), reproduction also speaks to that much broader field of social norms, institutions, practices and relationships that make human life possible. In this sense, capitalism has always fundamentally relied on and enabled patriarchy to harness and exploit women’s reproductive labors in the home, though recently we have seen the expansive commodification of reproductive labor in the still largely feminized (and, hence, devalued) service sector. At the same time, we have seen the current crisis-ridden form of neoliberal capitalism enclose or extinguish many forms of common life-support (the privatization of services, the eviction of people from land, environmental destruction, the attack on unions and wages, etc. ), which has led to a widespread crisis of reproduction in society at large. Simply put, in this age of austerity, the reckless reproduction and acceleration of capitalism comes at the expense of the reproduction of our lives, with untold millions being made to pay the costs of capitalist-driven climate change, or of the austerity policies aimed at stabilizing the capitalist economy in the wake of the financial crisis. Social movements today recognize the effects of this crisis of reproduction acutely, and hopefully recognize that those effects are not shared equally: those who labor under the burden of systemic oppression (people of color, Indigenous people, women, trans folks, people with disabilities, migrants) almost always suffer the worst, for their reproduction is worth far less to capital. In any case, social movements aim, at some level, to confront this crisis of reproduction and, for the most part, demand society be reproduced otherwise, based not on capital’s monolithic value of accumulation (at a compound rate no less), but on values such as justice, solidarity, autonomy, and ecological sustainability. But in a highly alienating, oppressive, and exploitative capitalist world, social movements also often serve as subcultures of solace, offering oases of friendship, meaning, value and relationality in a blighted and lonesome world. In the course of our research, we saw time and again that participants found in their movements vehicles not only for social change, but for personal survival, for a more intentional, rewarding, and just practice of collective reproduction. Sometimes this took the form of physical survival as activists shared housing, meals, finances and companionship. 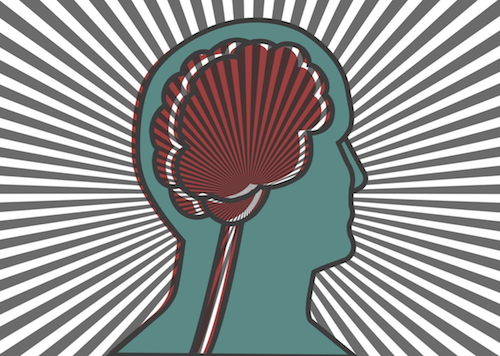 More often, it took the form of mental and spiritual survival: movements offer a place to reaffirm one’s values and commitments in a world dead-set against them, they offer an avenue for relationships and peer support, and they offer a means to be (or at least feel) effective against a system that seems so powerful and monstrous as to be unstoppable. This is clearly the case with the more recent wave of “anarchistic”movements that place a high value on internal democratic process. But it is no less true of more formal and structured movements, even if they openly disavow their social and human dimensions in favor of a hard-nosed and depersonalized approach. But there is an inherent conflict here, which, in the course of our research we saw play out time and again. The role social movements play in the reproduction of the lives of their participants all too often comes into conflict with their role as agents striving to transform the reproduction of society at large. Often, otherwise promising social movements decline into cliques or sects of mutual aid and affirmation, which have a hard time addressing broader publics and often reproduce themselves largely by defining other similar movements as their enemies. Other times, even more ecumenical movements can become obsessed with their own internal processes, endlessly self-questioning their own reproduction and seeking to refine their internal dynamics in the (mistaken) belief that only a perfected movement can hope to effect social change more broadly. More prosaically, many movements suffer when individual members come into conflict with one another, leading to festering and rancorous interpersonal conflicts that undermine the reproduction of both the movement and its participants. The successful reproduction of movements often breaks down because they reproduce, within them, the patterns and practices of oppression and exploitation that are present in the broader society of which they are a part. These include the perpetuation of patriarchal attitudes and masculinist behavior, subtle (and not-so-subtle) reaffirmations of white-supremacy and the devaluation of non-white people, ignorance or indifference towards disabilities (especially invisibilized disabilities like mental health), or the refusal to contend with the politics, pain and implications of colonialism. The vexatious reality of these forces have led many to decry recent social movement’s “obsession” with “identity politics” and declare the failure of prefigurative politics as such. The latter is a term which has, since the 1970s, been associated with an “anarchistic turn” in social movements, one that stresses the need to “be the change” one wishes to see in the world and to build and constantly refine movement organizations so as to make them working miniature models of the sort of society that might be built. Responding to the belabored deliberationism of the Occupy movement and other recent initiatives, critics charge that the feel-good rhetoric of radical grassroots democracy renders movements ineffective and stagnant, and also often militates against actually addressing deep-seated systemic problems. For instance, many Occupy encampments fell into decline because the celebration of individual voice and freedom did not allow them to properly address oppressive behavior and sexual violence, or to move from a spectacular but largely symbolic and finite protest tactic (camping in city squares) to a sustainable movement capable of actually mobilizing masses of people and challenging capitalist or state power. More pressingly, critics of prefigurative politics argue that issues such as racism, sexism, homophobia and ableism cannot be addressed by endless internal squabbling within movements, but demand broad systemic solutions (notably an end to capitalist exploitation) and to the extent social movements obsess over their own internal dynamics, they cannot hope to transform the system more broadly. These are important critiques, though we fear that they all too quickly (indeed, suspiciously eagerly) declare prefigurative politics and its associated concerns with oppression tried, failed, over and done. These critiques typically posit a “we” (social movement participants) who must overcome our childish self-infatuation with process and mature into more robust and formal political organizations such as radical political parties that can actually confront power. But who is this “we”, really? Should people of color, or women, or Indigenous people “outgrow” their allegedly parochial concerns and realize their oppression can only be answered in the context of formal struggle? More to the point, the reality, at least from our observations, is that more formal and structured radical political organizations are anything but immune to the double crisis we outline here. They, too, are caught in a double-bind between seeking to challenge the reproduction of capitalism and acting as zones of alternative reproduction for their participants. We do not believe that any amount of hard-nosed pragmatism, formal structure or “self-alienating” orientation can overcome this double crisis. Often (usually, in fact) formal parties and initiatives schism or fail to grow precisely because they are unwilling to acknowledge these tensions. Or, if they do not collapse inward, they so frequently fail to achieve their ambitious ends because they end up succumbing to a perceived realpolitik that ends up reproducing (rather than subverting) those systemic oppressions that are mobilized by capitalism in order to facilitate exploitation. We are not interested in taking a position in the ambient debate between “prefigurative politics” and its more formalist, party-oriented opponents. There is great merit to both approaches, and to their critiques of one another, to the extent those critiques rise above caricature (something that is dispiritingly rare). We are, rather, interested in how researchers might better conceive of their role when working with social movements. This may seem like an academic concern, but academic concerns aren’t what they used to be. As youth un- and under-employment has skyrocketed in recent years, and as capital has ratcheted up the necessary qualifications (read: training, accreditation, and obedience courses) for even menial jobs, a higher and higher percentage of people are attending universities. Of course, this comes at a time when the university as a public institution is under constant (likely lethal) attack: universities are deeply bound up in an increasingly corporatized model, which includes sharply rising tuition fees, the evisceration of the liberal arts and social sciences, the increasingly precarious nature of university faculty, the commercialization of research, partnerships with odious corporate interests, the bloat of increasingly austere (and highly paid) administrative cadres, and nefarious collusion with financial interests to saddle students with unbearable debt burdens. Yet for all of that, universities remain a space where many young people are radicalized and join social movements (for better and for worse). And we and others have observed the relatively high proportion of graduate students and precarious academic workers in the ranks of recent movements. As the Edu-Factory Collective (a transnational network of scholar-activists) note, in allegedly post-industrial times, the university holds a position not altogether unlike that of the factory in the industrial age: it has become a key sociological and economic fulcrum, and a key place where subjectivities and relationships are formed. As regrettable as we may deem it to be, we should not deny that social movements and academics have a strong and complex relationship today. We should, however, not fail to critically assess and leverage this relationship, for currently the benefits typically flow one way: sympathetic scholars study movements, collect data, transform it into publications, and accrue academic capital which might vault them out of precarious status or lead to promotions, tenure, etc. Studying social movements can often provide radical scholars with the assurance they are doing something unobjectionable or socially significant. That’s not good enough and, more importantly, we think more is possible. It is important, we think, to acknowledge that movements are all, always, conducting their own research. This is a notion of research outside the typical scholarly parameters of the term, which encloses the idea of research within closely gate-kept academic disciplines. Rather, social movements are constantly and necessarily engaged in processes of reflexive discovery, inquiry and study as they try to discover more about themselves and the forces they confront (both particular and systemic). In this sense, social movements’ common research is intimately connected to the radical imagination: the collective process of understanding the sublime complexities of power and efficacy in a fragmented and unjust world. Often this research is formal, defined and intentional, such as when movements against, say, fracking (hydraulic fracturing), seek to discover the constellations of corporate powers and government collusion that threaten a particular watershed. But equally important are the informal, unsung moments of reflection, analysis, conversation and debate whereby participants come to better understand what is common and uncommon among them, where the radical imagination grows and gains resonance and resilience. We understand the university not as a pure and noble institution, but as acolonial and capitalist imposition on the flows of knowledge. While it is comforting to believe that the corruption of the ennobled university began with the neoliberal assault of the last four decades, the reality is that universities have always been institutions of power and privilege whose primary social function is to sort knowledge and people. The way the social sciences enabled and perpetuated colonialism and the theft and devaluation of Indigenous knowledge is (or ought to be) well known, as is the role of management sciences in refining the exploitative industrial apparatuses of capitalism, to say nothing of the development of weapons, surveillance and repression technology in engineering schools, all of which make the odious defense of white, male canons of thought in the humanities pale in comparison. This is not to say that there is no room to maneuver — there are numerous inspiring examples and there is far more room to do radical work than most professors are comfortable recognizing. It is, however, to say that, in a better, post-capitalist future, the university as it currently exists will have no place. The task of imagining the university-to-come is an important one, and discussing it can stimulate the radical imagination in important ways. But for now we can only understand its contours through dialectic negation. The university-to-come would, of course, be free, financially, politically and spiritually. It would be open to all. It would not have specific disciplinary courses of study to be completed in four years by disenfranchised, indebted youth, but allow for a fluid passage of people in and out of learning and teaching at different moments in their life. It would not be presided over by a privileged group of sequestered would-be-sages, but would celebrate and support knowledge and research from throughout society, melding traditions of formal inquiry with Indigenous and other practices of teaching and learning, as well as the grassroots forms of knowledge produced through life and struggle. It would cease to preside over a false meritocracy and to legitimate and sort people into an unjust and inhumane division of labour in society as a whole. It would be both rooted in and responsive to communities, but also provide a space for radical, unconventional, unpopular and autonomous thinking. It would not rest on the poorly-paid labor of some and perpetuate the overvaluation of others. It would disavow the fetish of the “public” interest, which today is a fig-leaf behind which the corporatization, militarization, and securitization of universities festers; it would instead comprehend itself as a “common” institution, dedicated to the collective process of liberation, justice and autonomy. Importantly, the university-to-come would understand itself as reproduced as part of a network of commons, and would take up its role as a node in that network, providing individuals and communities with the resources to build a better world. It is from this hazy mirage (a mirage whose contours we can only make out through our struggles here and now) that we can draw inspiration for a notion of prefigurative research. If the university-to-come is one that self-consciously seeks to create the resources and cultivate the subjects of liberation, how can we, today, let this future institution inform our conduct, in the name of creating the sort of world where it might one day exist? Here we want to return to the double crisis. As we noted, the conflict between, on the one hand, social movements’ missions to transform how society at large is reproduced and, on the other, the role of social movements as alternative zones of social reproduction is a recurring problem, which manifests in all sorts of tensions and contradictions. We envisage a “prefigurative” practice of social movement research as one that seeks to enable movements to better address and attend to this tension. That is, we imagine a role for social movement researchers as facilitators of movements’ own research practices, as conduits and catalysts for the radical imagination. Further, researchers can act as border crossers, translating or smuggling social movement common research into different communities, different venues and different public spheres. Because the tensions and contradictions caused by the double crisis are so profound and run so deep, few movements actually make time or space to address it directly. Further, in most places, movements are not made up of large, concrete, well organized, ideologically unified and formal organizations: most activism, according to our research, occurs in fragmented, overlapping and contradictory milieus made up of multiple formal and informal, permanent and temporary, liberal and radical organizations with overlapping and changing memberships. This was certainly the case in the small city of Halifax, Canada, where we conducted our fieldwork. 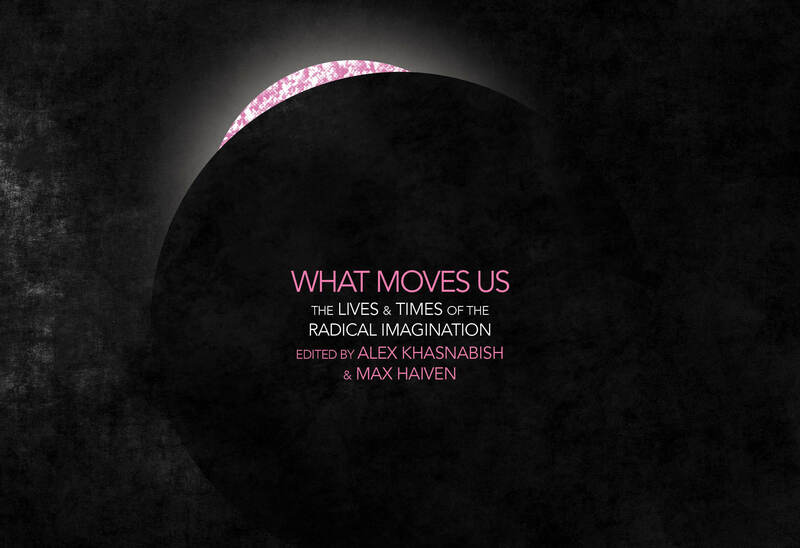 The answer, then, is for social movement researchers to, in consultation and reflexive dialogue with activists, experiment with creating new temporary institutions, environments or spaces in which the radical imagination and the processes of common movement research can flourish. In our project, we first conducted long, open-ended interviews with dozens of activists, focusing on their personal biographies and experiences in social movements, but also their hopes and fears for the future, the rationale for their strategic and political orientation, and the vital question (which we borrowed from the UK-basedTurbulence Collective): what would it mean to win? Following these interviews, we hosted a series of community roundtables featuring interviewees whose positions we thought would reveal key tensions and important frictions within the social movement milieu. In the third phase of our project, we created a vehicle through which to host dialogues with important speakers and activists from afar, whose ideas and stories might catalyze a more concerted set of discussions about key issues. In this, we hoped to create a process of the radical imagination. The contradictions and tensions created in movements and in individuals by the double crisis has a heavy cost, and one that is heavier if it remains hidden or obscured. We sometimes imagined our research as almost a form of radical collective therapy, not one aimed at returning the patient to some predetermined idea of “normal,” but one seeking to help one another better understand and, therefore, cope with the difficulties and challenges germane to the objectively terrible situation in which we now find ourselves. Many of our participants, for instance, found the long interviews empowering: for most, no one had ever bother to ask them how they became activists, what their experience had been, how they understood their choices, and what they hoped and feared. As relatively neutral, semi-detached researchers with no particular affiliations, we hoped to become sounding-boards for the pent-up tensions and frustrations that had accumulated in the movement milieu, and sought to find ways to present these contradictions in ways that would make them workable and concrete for activists and their movements. Of course, it would be a fantasy to believe that most of these tensions and contradictions could be resolved through these methods. Many tensions revealed themselves to be based either on deeply held, irreconcilable ideological convictions, or on forms of systemic oppression, exploitation, power and identity which cannot be solved merely with good will and therapeutic dialogue. 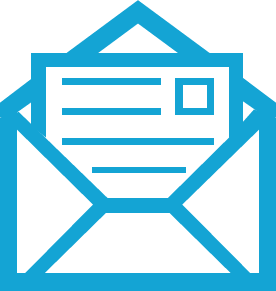 Our project has, by no means, been a complete success, but it has been, we think, a worthy effort at designing a prefigurative role for researchers. We do not think this is the only, or indeed always the best approach. It’s not even altogether new: feminist participant action research, for one, has been experimenting with radically integrated social movement inquiry for decades. And radical scholars have long committed themselves to bringing their expertise, rigor and critical thinking to movements; take for example the excellent manual crafted by scholar-activist participants at Occupy Wall Street. Or one can look to Stefano Harney and Fred Moten’s brilliant theorization of the forms of radical study occurring as an “undercommons” within, beneath and in spite of the imposition of the austere university. They, like Robin D.G. Kelley, approach the resurgent radical imagination from the histories of black radical and cultural activism in the United States, animated as they were (and are) by the anti-institutional forms of research, study and inquiry that sparked in struggle, dialogue and debate, as well as in community, in music and in writing. We think that the double crisis of movement reproduction, as well as the struggles within, against and beyond the university-as-we-know-it, are on some level connected. And together they demand of us the application of the radical imagination, and its fomentation as a collective practice.